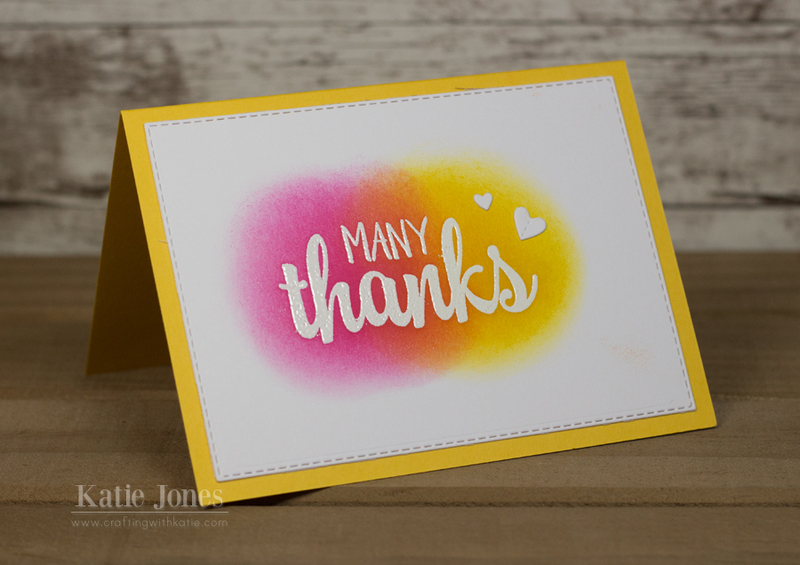 I needed to make some thank you notes and had the urge to do some ink blending, so I played with some different colors. All of the cards are 3 1/2" x 4 3/4", making them just the right size for the 3 1/4" x 4 1/2" rectangle die from My Creative Time's MORE Stitched Rectangular Dies. I heat embossed the same sentiment on each, from MCT's Just a Note. 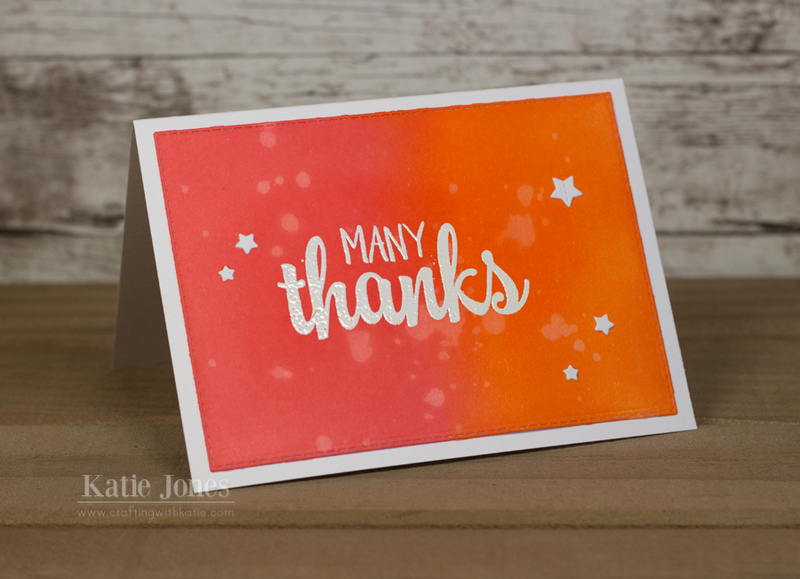 For this card, I completely inked up the background in Abandoned Coral and Carved Pumpkin distress inks. I then spritzed on some water droplets. Once it dried, I adhered some little star die cuts made with the MCT 4x4 Journal Die + More. The distress inks I used for this card were Twisted Citron and Tumbled Glass. The heart die cuts were made with that same 4x4 Journal Die + More. Lastly, I used Picked Raspberry and Mustard Seed on this final card. These are gorgeous!! Love the ink blending and CAS look! These are so pretty! LOVE the blending! Simple yet so pretty...I love these! Loving your background. So simple yet colorful!